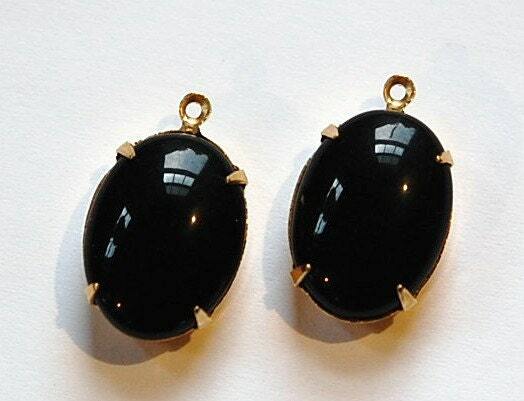 These are vintage black glass stones set in a one loop brass setting. The stones measure 18x13mm. You will receive 2 pieces. Absolutely beautiful, great quality. Good shipping time and packaging was a nice, personal touch. Thanks! Lovely! Thank you very much!